Result : Rangpur Riders won by 72 runs. 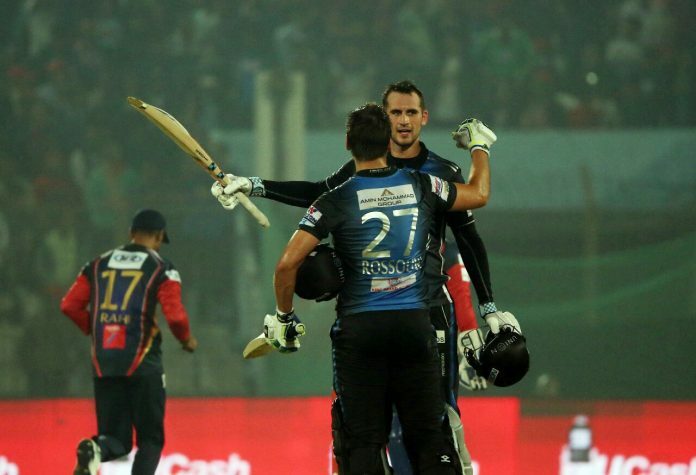 Player of the Match : Alex Hales (Rangpur Riders). 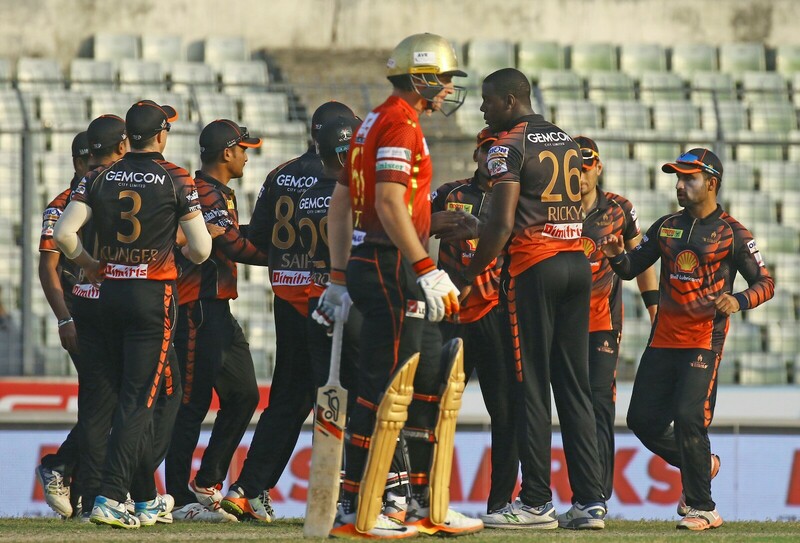 A run-galore encounter between Rangpur Riders and hosts Chittagong Vikings have witnessed couple of records as Riders put an clinical display to outplay Vikings by defeating by 72 runs in BPL 2019. Vikings still remained at the top of the points table with Riders are moved to the third spot with 10 points from 9 matches. Winnings the toss, Mushfiqur Rahim opted to bowl first at Zahur Ahmed Chowdhury Stadium, Chattogram. Vikings struck early to remove the danger-man Chris Gayle on 6. But then it was all about Alex Hales and Rilee Rossouw show as both went onto score their maiden century in BPL to guide the Riders to a massive total. Player of the match, Alex Hales was dismissed after scoring 100 off 48 balls including 11 fours and 5 sixes. Following the dismissal of Hales, AD de Villiers too got out early for 1. But Riders’s run-machine Rossouw took all the responsibility on his own as he remained unbeaten on 100 in 51 balls to help his side posting a mammoth total of 239 for 4 in 20 overs, highest ever in BPL history. Abu Jayed picked up 2 wickets for 35. To chase a target of 240, Vikings needed somethings special from Mohammad Shahzad who was dismissed after scoring 20. Only Yasir Ali shone in the Vikings innings who scored 78 off 58 balls which was not enough as Riders restricted them for 167 for 8 in 20 overs to clinch a easy 72-run win.